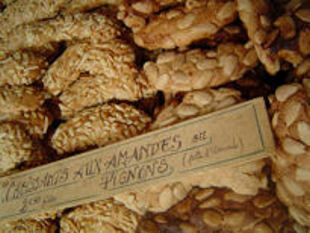 ﻿ Luberon Biking Trip| Single Base Tours| Meals| France. 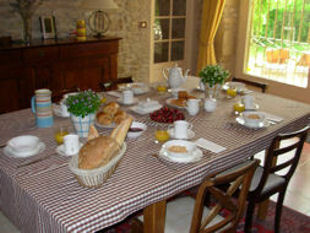 MEALS AT OUR B&B BASED PROVENCE BICYCLE TRIPS. We provide a substantial breakfast each morning and 2 set 3-course evening meals, leaving you your remaining nights and your lunches to try the excellent local produce & cuisine. Hopefully, our listing of our favourite restaurants & cafes will point you in the right direction. - We put on a comprehensive French buffet breakfast each morning to get you ready for your cycle ride (served 8 - 10am), it consists of fresh croissants, patisseries and bread (all from the excellent wood-fired bakery), home-made jams & honey, yoghurts, fresh fruit from the farmers' market and our garden, cereals, eggs and of course juice and a range of hot drinks. - Why not try one of the excellent local Luberon restaurants for a leisurely stop on a shady terrace, make it a quick break at a cafe, or simply fill up at one of the many markets for a picnic spot along the route - there's lots of choice and we can provide recommendations. - We provide 2 evening meals at the B&B for our 6-night tour (with the first meal usually on the 2nd evening). Home-cooked, 3-course set meals, served under the vine covered pergola on our terrace (complimentary wine & soft drinks included). The food served is all home-made and consists of authentic French or Provence classic dishes, and we use the freshest ingredients from the excellent local farmers' market whenever possible. 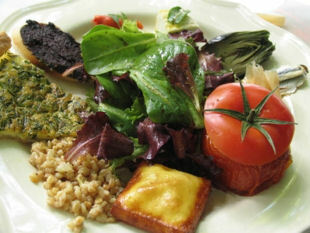 The meals are accompanied with the excellent local Côtes du Luberon or Côtes de Ventoux wines. And when not dining at the B&B, we have our "favourite restaurants" listing, of only the best local cuisine, and we are more than happy to book for you. Please note that our evening meals have a set menu that tend to be traditional French cuisine, so unfortunately we can not cater for vegans, sorry. If you are vegetarian, need to eat gluten or lactose free, or have any other food allergies, can you please be sure to let us know at the time of booking (not on arrival), as all of our menus need to be planned in advance. "Neil's a devil in the kitchen. The meals he prepared were fantastic. 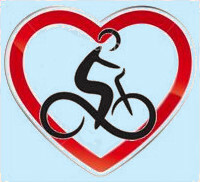 94% 5-star reviews says it all"
Susan & Mike - US - Jul 18 - Provence bicycle trips review. "It was relaxing lazing in the sun in the beautiful garden and predinner drinks went down a treat. Our hosts fed us 2 nights and they are fabulous cooks, and massive serves, but with all the riding that was perfect!" Jo & Will - Aus - May 18 - Provence bicycle trips review. "Neil's dinners were one of the best things in this trip, cooked and served with love. Miss them already." Ruth & Guy - Israel - Oct 17 - Provence bicycle trips review. 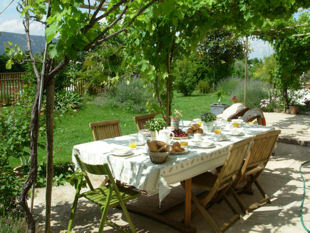 "Nat and Neil served beautiful home-cooked dinners that featured local produce and the classic tastes of Provence. They are fabulous cooks and serve with just the right amount of panache. They served "bike-riders' portions", which was much appreciated." Bonnie & Eric - US - July 16 - Provence bicycle trips review. "I am a picky eater & have to admit I was a little nervous about not having a choice, but I have to say everything was delicious! Some dishes included a duck confit salad (yum!! ), veggie quiche (awesome) and chicken kebabs (couldn't stop eating them). Neil also provided very good dinner reco's for the "off nights" and for lunch (included in the information cards for each ride)." Julie - US - June 15 - Provence bicycle trips review. "Dinners were superbly prepared three course feasts, prefaced by a wide selection of cocktails. Neil is a self-taught master chef, who cranks out meals that highlighted local French fare, with a homemade twist. Excellent soups/first course, entrées, and desserts (featuring Neil's internationally famous miracle sauce), in the style of a typical Provence Prix Fixe meal. On the alternate evenings when we were on our own, Neil directed us to several excellent restaurants that were exactly as excellent as he described." Eric - US - Oct 14 - Provence bicycle trips review. "Amazing dinners... Not only delicious but a fun way of socializing with other guests." Maureen - UK - July 13 - Provence bicycle trips review. "Neil's recommendations for restaurants to try were excellent. " G. Zimmerman - Canada -֠ May 12 - Provence bicycle trips review. Neil and his wife were lovely hosts and good cooks. It was one of our most favorite holidays. Gary - US - July 10 - Provence bicycle trips review.